I'm playing hard practicing the piano a lot recently, because I'll take part in " our home concert" with my friends at the last end of this April. My song is " 花束を君に”　by Hikaru Utada. 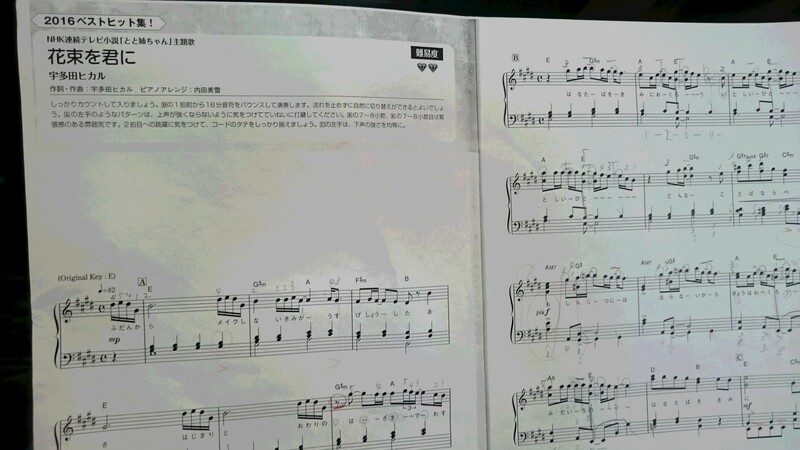 It is difficult to play this song well for me. I tap along to the rhythm, but sometimes disrupt lose it. My family don't say anything more about my piano. They must feel hopeless by my poor playing is hopeless. On the other hand, I'm getting to like more and more to this song. I was moved by this the words. I' ll get nervous at the concert, but I'll do my best.